Sounds like Dana White is trying to cozy up to The Last Emperor. 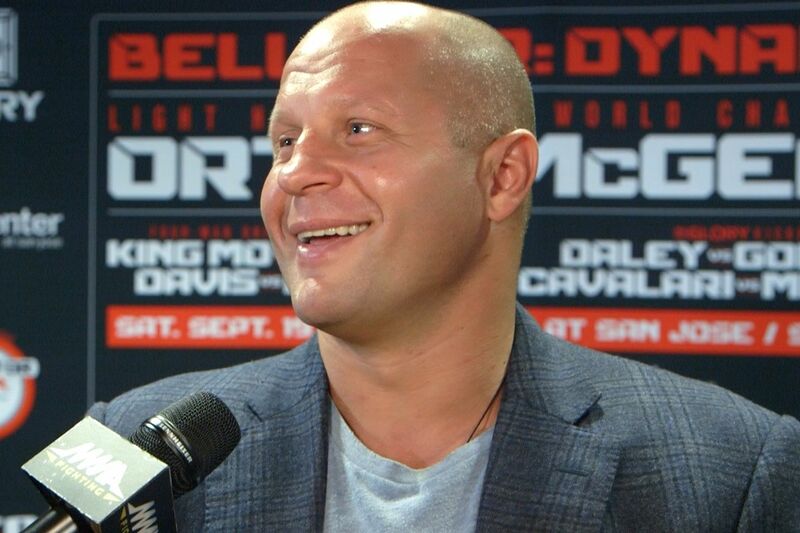 It is well known that Fedor Emelianenko and the UFC have had a pretty long running adversarial relationship. This past weekend, Emelianenko headlined EFN 50 which was streamed live on fight pass. It was arguable the worst Emelianenko has ever looked in his career, barely scraping out a win over UFC light heavyweight cast off Fabio Maldonado in a fight where everyone but two of the judges saw a win for Maldonado. In the past, UFC president Dana White may have taken this opportunity to cast aspersions on Emelianenko but instead, yesterday he praised the Russian heavyweight’s toughness on the inaugural episode of the UFC Unfiltered podcast with Matt Serra and Jim Norton (transcript by MMA Junkie). “They were going to let him die before they stopped that fight, you know that? But a testament to how tough and durable and mentally strong Fedor is, man. He was out. He was out. Literally, when he got back up … when a guy is on crazy legs the way that he was on crazy legs, and it’s not like he was on crazy legs and able to avoid punches after that. He continued to get hit with bombs by Maldonado and he made it through it.